I held out as long as I could, but I have now caved and bought a Series 2 Apple Watch. Not because it is anything revolutionary. Not because I accidentally killed my original version, although I kinda did, but because health and fitness has become so important to me. I feel the investment is well worth it, and I’ve found the perfect complication to match my new Nike + version – Healthface. Unfortunately Apple still have not allowed third party watch faces, yet made a small compromise with adding in custom complications with watchOS 2. Some apps have embraced the concept and updated their apps to add in everything from weather to quick links into their apps. Yet very few apps have really invested in the idea of complications, and developed anything new. Healthface by Crunchy Bagel is an excellent and uncomplicated iOS app that displays health data on any accompanying Apple Watch. The best part about the whole experience is the ease at which you can display a whole range of metrics right on your Apple Watch. Customise the amount of info displayed and place it on your watch face of choice. 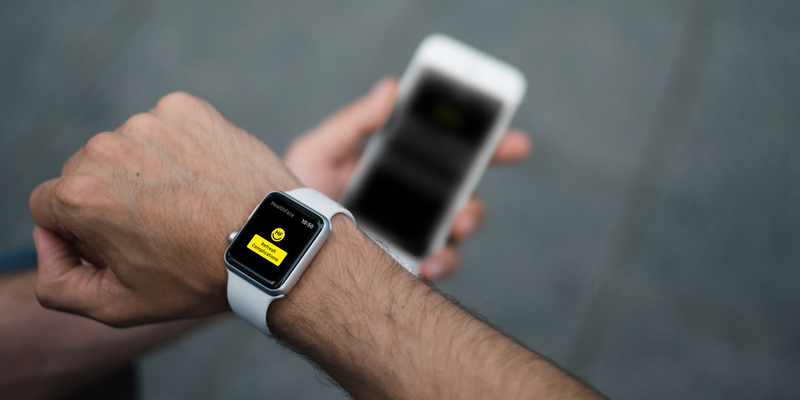 The app supports both a small or a large complication, anything that is recorded in the health app can be displayed by Healthface on absolutely any watch face. I’ve stuck to the boring step count or mindful minutes depending on the watch face I am using at the time. Although you can set anything from vitals, to body measurements or even reproductive health depending on your requirements. All of the set up is done through the iOS app, by default displaying all of the available watch faces you can choose from. Tapping on a watch face displays the type of complications available. These vary lots dependant on the face, the Mickey Mouse face for example has a Utilitarian small and Utilitarian large available. Where as my weekend watch face, Numerals, only has the Utilitarian small available. You can then adjust which information you wish to be displayed and also customise how you wish it to be displayed. You can customise the unit of measurement and also any icons displayed in the complication. With a live preview of how the complication will appear at the top of the screen, as seen on the furthest right screen shot above. Once the design is perfected, then you can place the complication on your watch face using a long press (force touch) and selecting ‘customise’. However because of how watchOS works, this complication will be the same across all watch faces that use that particular complication size. Meaning that unfortunately you cannot have different info displayed on different watch faces if they use the same complication size. Tapping on the complication will open up a screen where the information can be refreshed. You will only need to do this when placing the complication or changing the data displayed. I have found myself pressing the complication by accident a few times, it is a shame this cant be locked somehow. Although this is all by design from Apple, so these types of changes are outside of the developer control. The real benefit of Healthface is putting your complications to work for you. Saving time digging into the Health app on your phone when you simply want to see a select piece of data you are keeping an eye on. Want to see your steps quickly and easily, no problem. Prefer to see your average heart rate – easy. The options are limitless and it’s great to see a developer using complications to make life easier. Healthface is available for £0.79 from the app store, if you’re serious about health it should be a must. The real benefit of Healthface is putting your complications to work for you. Saving time digging into the Health app on your phone, if you're serious about health it should be a must.